Hotline Miami 2: Wrong Number, the follow-up to one of 2012's most fun, brutal and sadistic titles, now has a rough release window. As tweeted out by the game's official account, the sequel is dropping in Q3 of 2014. They followed-up that news with another note suggesting the rough content of the game. New stuff, old stuff, weird stuff and violent stuff all converging with some surprises. Should be worth the wait. I'll be completely honest. I never completed the first Hotline Miami. I enjoyed it. I played it for, probably, eight hours. But I never beat it. Guess I'm going to have to saddle up and beat the thing before its sequel drops later this year. I can't jump into that one without clearing the first, I just can't. 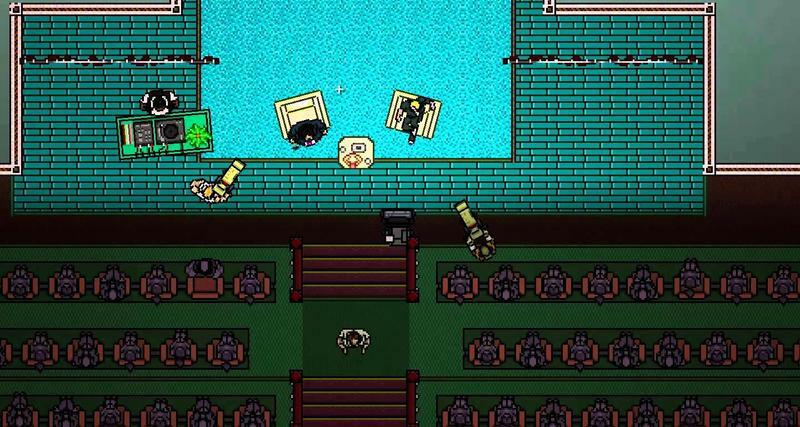 Anyone else looking forward to Hotline Miami 2? It's been announced for the PC, Mac, Linux, PlayStation 4 and PS Vita platforms.